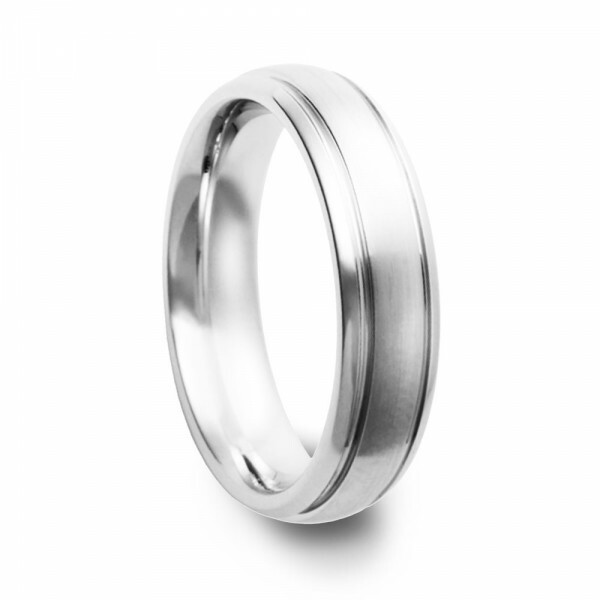 A stylizing of the classic domed wedding ring, the SAMARIA is updated with durable cobalt chrome in addition to polished grooves flanking a brushed center. Shatterproof and scratch resistant, this wedding band comes in your choice of 5mm or 7mm width. Its rounded contours and comfort fit sizing will provide the most comfortable fit possible.